A variety of job and career fairs take place across the state to bring job seekers and employers together. Attending an event will help to expand your network, creating opportunities to engage with and get feedback from employers. It's a great way to connect with future employers. If you would like your upcoming event listed on this calendar, please submit your information to us for consideration. To ensure your event gets posted before the event day, please submit your request at least two business days in advance. In addition, if you are interested in having our staff attend one of your events, please contact us. United Career Fairs has over 20 years of experience in connecting candidates with hiring managers at companies ranging from small local businesses clear on up to Fortune 500 corporations. Our career fairs focus specifically on Sales, Business Development, Marketing, Customer Service, and Retail & Sales Management jobs, and offer you individual, face-to-face time with hiring managers from a variety of different companies. All of our events are held in the evening, making it easier to work around your existing job schedule. Here’s how it works: we will welcome you with a formal executive presentation in which each company will introduce itself and the opportunities they offer. You will then be free to meet with hiring managers from each company that has attracted your interest. At the same time, you will be able to network not only with various employers, but also with other professionals. Register now to attend our upcoming career fair! *FREE to attend for job seekers. Business professional attire required. Spherion will be conducting on the spot interviews at the Great Lakes Bay Michigan Works Bay City Service Center! Bring a copy of your resume and come dressed for success! Masterson Staffing Solutions are hiring for the following positions - Production Packagers (MTC #: 6732136), Machine Operators (MTC #: 8582823), Chemical Mixers (MTC #: 6773210). Interested candidates can apply in person on Wednesdays. If you are not able to attend, then apply online. Call if you have any questions. Hiring companies nationwide and statewide participating in the job expo event are accepting resumes, applications and interviewing potential candidates. The upcoming job expo has great career opportunities for experienced candidates, military veterans, professionals, executives, college alumni and entry-level candidates seeking employment in several career fields including: Engineering, Information Technology, Skilled Trades, Manufacturing, Blue-collar Labor, Production, Industrial, General Labor, Customer Services, Retail, Management, Restaurant, Accounting, Banking, Office Support, Clerical, Seasonal, Holiday Jobs, Data Entry, Call Center, Installation, Technical, Machining, Electrical, Mortgage, Financial Planning, Insurance, Education, Truck Driving, Real Estate, Nursing, Rehabilitation, Human Services, and other career fields. The upcoming job expo will feature recruiters from 50 companies with positions available nationwide and statewide. Candidates should prepare to interview with recruiters onsite, bring 50 resume copies and dress for success. The upcoming job expo is “Free” for all job seekers to attend, interview early by forwarding your resume to april24@jobfairgiant.com. Several job seminars will take place throughout the day for job seekers that need assistance finding jobs. Kelly Services will be holding interviews at the Great Lakes Bay Michigan Works! at the Midland Service Center. There are opening for Customer Service Representatives, Administrative Assistant, Switchboard Operator, Document Administrator, Human Resources Administrator, Data Governance Assistant, and Office Professionals. If you plan to attend our Job Fair 2019, please register by logging into your MacombCareerLink account at www.macomb.edu/mcl-employer. Since space is limited, all registrations will be handled on a first-come, first-serve basis. **First-time users: please click on "create an account" **Returning users: please enter your username and password or use your email address to locate the account • Once on the Welcome page • Click on the Event tab to the left under the dashboard • Click on Add Request+ top right of the Company Events page • Pull down OCR Event Type and select Career Fair • Click “YES” to terms and conditions • Complete the entire registration request form There is a registration fee of $100.00 and employers will not be considered until full payment is received. Included in this fee will be a table, 2 chairs, hospitality room and light dinner for 2 representatives. If you wish to have more than 2 representatives, a fee of $25.00 will be required, per additional person, which will also include the above. Electrical hookups are available but are limited, the location of your table may also vary based on your need for an electrical hook up. Registration for all employers must be completed. There are several ways to complete payment, including credit card, check or money order. All options are located on the PAY BY screen of the request to register form. After completion of the registration request form and the payment has been processed, you will receive an email registration confirmation from our office with an invoice and map to our event attached. Please contact Career Services, or email us at careerservices@macomb.edu with any questions you may have. We look forward to your participation in this year’s event. Forge Industrial Staffing are now hiring for: Press Operators, Quality Control, Forklift Operators, Rim Repackers, & Machine Operators/Hi Lo Drivers. Interested applicants can apply online or attend one of the Hiring Events scheduled in April. Bring your resume and be prepared to be interviewed on the spot! Questions? Call. Local employers will be on site to meet with interested job seekers who are looking for a career in manufacturing. Bring a resume and any professional credentials or certifications. Dress for success!! Looking to switch things up in your job search? Then the Job Finders Group is for you. For several years this group has been extremely helpful in providing weekly insight and job openings that are relevant, timely and effective. Join us Thursdays at 3:30 p.m. so that WE can help YOU find your next job. The Job Finders Group meets at Capital Area Michigan Works! In Lansing. Parking is free. No need to sign up in advance. Just arrive a few minutes before 3:30 p.m.
ETD Services are hiring Hi-Lo/Shipping & Receiving ($12.00 per hr) clerks for Western Wayne County. Two years of experience for both positions. Hi-Lo Certificate a plus. Positions start as temporary full time. Also, seeking Sorters ($10.00 per hr) for positions in Livonia, Wayne, Brownstown & Flat Rock. Sorting automotive parts. Must be able to stand for 8 hour and have good attention to detail. Apply in person at Hiring Event or online. SER's annual career fair attracts hundreds of job seekers and hosts 50+ employers. This event is open to the public. Resume assistance and other resources available on site. Full -Time | Part - Time | Seasonal Help In All Industries Join us as a vendor ($100) or attend for a Job & Career Expo at Rivertown Crossings Mall. Our primary goal is to help our members find quality candidates and for our local job seekers to find good jobs in their own communities. Some jobs may be seasonal and many jobs will be permanent...it's a job fair for ALL SEASONS! And ALL SECTORS too including retail, manufacturing, health care, tech, IT, financial services and more! $100 for a booth. Please contact Sandy LeBlanc at sandy@grandjen.com or by phone. The Shoreline Inn, The Lake House, The Holiday Inn, and The Third Street Grille are proud to host our Annual Job Fair. The job fair will be held in the ballroom of the Holiday Inn. Open interviews for Machine Operators and General Production workers in the Bay City and Saginaw area. All positions are temp-to-hire opportunities. The Engineering Society of Detroit’s (ESD) Engineering and Technology Job Fair is your best opportunity to meet face-to-face with representatives from more than 40 of Michigan’s leading companies. Employers will be looking for people to join their company; recruiting for full and part-time positions, internships and co-op opportunities. Whether you’re a seasoned professional, a recent graduate or an in-between careers job seeker, you’ll find the ESD job fair is your best opportunity to: • Attend a tailored event specifically for engineering and technology professionals • Network and make contacts with prospective employers • Learn about job openings in your field • Experience possible on-the-spot interviews. We are looking for hard working individuals for management, porter and crew positions. We are a amazing company who takes care of there people and we are growing every year. Don't miss this great opportunity with a great company! We have a amazing starting pay and great benefits. The WEST OAKLAND REGIONAL JOB FAIR’s primary goals are to help our local businesses ?nd quality candidates and to help our local job seekers find good jobs near their homes. The Job Fair is a collaborative community event hosted by the City of Wixom, Oakland County MichiganWorks! and the Lakes Area Chamber of Commerce. We look forward to an immensely successful event and invite you to join us! JOIN US FOR THIS FREE JOB FAIR FEATURING DOZENS OF JOB OPENINGS IN A WIDE RANGE OF INDUSTRIES! BRING YOUR RESUME & DRESS FOR SUCCESS! RNA Facilities Management will be at the Great Lakes Bay Michigan Works conducting on-the-spot interviews for Custodians. The US Census will be at the Great Lakes Bay Michigan Works! Service Center. They will be conducting presentations and answering questions. Please apply online at APPLY ONLINE! Open Interviews for Machine Operators and Production Associates in the Bay and Saginaw area. All positions are temp-to-hire opportunities. IHA is Southeast Michigan’s leading not-for-profit multi-specialty physician group. NOW HIRING Medical Assistants, Medical Receptionists, Clinical Coordinators, Care Managers, RN’s, LPN’s, Clinical Support Assistants, and more for our locations in Ann Arbor, Ypsilanti, Plymouth, Canton, Livonia, South Lyon, Brighton, Howell, Milan, Chelsea and surrounding areas. We are holding onsite interviews in 3 locations! Visit our website to check out these locations in Ann Arbor and Livonia (please bring copies of your resume). Some of our benefits include: • tuition reimbursement• reimbursement toward certification exam • free scrubs • competitive pay • free onsite parking at all locations • medical, dental, vision • 403(b) plan • paid time off • service discounts, and more! April 30, 2019 MeritHall - Now Hiring! MeritHall - Now Hiring for the following positions in Wayne County: Machine Shop Person, Irrigation Technicians, Landscape / Lawn Care Laborers, Landscape Foreman, CDL-A Flatbed Drivers, Landscape Nursery Sales Person, Industrial / Machine Tool Electrician & Welder/Fabricator. See flyer for hourly wages depending on job, location & experience ($ 11- 25 an hour). To see a complete job description - go on the Talent Connect website using the MTC Job Code(s) listed on flyer. If unable to attend the Hiring Event, then go to apply online. Elite School Management will be hiring for over 50 positions when they attend the Livonia Michigan Works! on Thursday, May 2. These openings include State-Certified Teachers, Substitute Teachers, Substitute Paraprofessionals, and Room Attendants. This is a great opportunity for individuals looking to either enter or stay in the field of Education with a variety of positions available. If you're interested in attending these on-the-spot interviews, please bring multiple copies of your resume in addition to professional dress. If you are unable to attend, please send resume to Justin Skibin, Michigan Works Business Services Professional, at jskibin@edsisolutions.com. Thank you! We hope to see you there. The Livonia Michigan Works is having a Customer Service Job Fair 12:00 PM - 2:00 PM (or later). Over 10 employers will be in attendance of whom are hiring for many customer service-related openings (administrative/clerical, retail, call center, medical, and more) at many different employment levels (entry-level, mid-level, management-level). This is a great opportunity for all types of job seekers to meet with employers to gain meaningful employment. If interested in attending, please bring multiple copies of your resume in addition to professional dress. Thank you! We hope to see you at this event. Listening Ear will be holding on-the-spot interviews for Direct Care Workers/In-Home Help at the Mt. Pleasant Michigan Works! Service Center - please bring a resume and be prepared to interview! If you are serious about finding employment, here's your chance! Local employers will be interviewing potential candidates to fill open positions and will be hiring! Job Fairs are a great opportunity to meet with hiring managers face-to-face, interview on-site, and create a lasting impression. Sending out Resumes but not landing any Interviews? Do you have a degree and have just been displaced by your company? Not making enough at your current job and need to change your career? Are you getting Interviews but no job offers? Looking for insightful job search strategy tips? Need help utilizing Social Media and Networking to search for jobs? It’s time to participate in the Job Finders Group! Interview and application available night of the event. Career and volunteer opportunities in the following areas: Early Childhood Education, Social Work/Human Services, Administration, and Weatherization. Quality Inn 1225 N. Dixie Hwy. We are holding a job Fair for all local CDL drivers! We specialize in home daily work for CDL-A and B drivers. Please join us at the Crystal Mountain Summer Job Fair at the Lodge! This is your chance to interview with hiring managers from multiple departments across the resort. Available positions are posted on our website. Please submit an online application prior to attending the event. Detroit Police and Wayne County Sheriff's Office - Hiring Event! Interested candidates must be at least 18 years old, possess a valid Driver's License, a High School Diploma or a GED, No Felony Convictions, U.S. Citizenship, 20/20 Vision or corrected 20/20 vision, be qualified to obtain a Concealed Pistol License. Applications will be accepted onsite at the Hiring Event. Personal Assistance Options will be holding on-the-spot interviews for Direct Support Staff at the Bay City Michigan Works! service center on May 7th, Please bring a resume and be ready to interview. ShawnTech Job Fair are now hiring electricians of all skill levels! Willing to travel, able to troubleshoot network, cabling, wiring and software installation. H.S. Diploma or equivalent required with 0 - 5 years in the field or in a related area. If interested but unable to attend the Job Fair... then send your resume to briana@hiresolution.com or call if you have questions. Personal Assistance Options will be holding on-the-spot interviews for Direct Support Staff. Please bring a resume and be prepared to interview! Looking for an education-related job? Have a vacancy to fill in your school or district? We can help you get connected - for FREE! The Michigan Department of Education (MDE) is hosting three State-Wide Educator Workforce Job Fairs - including one in Lansing on May 10! The Job Fairs are free and open to all job-seeking candidates and Local Education Agencies (LEAs), Intermediate School Districts (ISDs), Public School Academies (PSAs) and educator staffing agencies seeking to hire for the 2019-20 school year. Limited space is also available for purchase by vendors (associations, businesses, education providers, etc.) wishing to be in attendance. These Job Fair opportunities directly align with Strategic Goal 3 of MDE’s Top 10 in 10 initiative: Develop, support and sustain a high-quality, prepared and collaborative education workforce. Additional Job Fairs will be held on June 12 in Marquette and Aug. 5 in Livonia. For more information, please visit Michigan Educator Services and click on the Job Fair link. Join SME, an association of professionals, educators and students committed to promoting and supporting the manufacturing industry, at its RAPID + TCT. RAPID + TCT is North America’s preeminent event for discovery, innovation and networking for additive manufacturing, bringing together the best new ideas from the biggest and most innovative names in the industry. With over 125 presentations, eight workshops and three keynote presentations, the event is both a global conference and tradeshow that features more than 375 exhibitors and three networking receptions. With a critical focus on 3D printing, RAPID + TCT is a high-energy experience that puts the capabilities of additive manufacturing technology on display and explores the applications throughout affected industries, including aerospace, automotive, medicine and more. These technologies are challenging the status quo, from best practices throughout the business landscape to public policy. Forman Mills is hiring: Department Managers; Front End Managers; Cashiers; Selling Floor Associates; Receiving Managers; Receivers; Maintenance & Loss Prevention. Big box experience and soft lines are required! Full and part time positions are available. Evenings and weekends required. Competitive pay rates, Comprehensive training, Benefits, and Merchandise discounts. Positions available in ALL stores!! Elite School Management will be hiring for over 50 positions when they attend the Livonia Michigan Works on Thursday, May 30. These openings include State-Certified Teachers, Substitute Teachers, Substitute Paraprofessionals, and Room Attendants. This is a great opportunity for individuals looking to either enter or stay in the field of Education with a variety of positions available. If you're interested in attending these on-the-spot interviews, please bring multiple copies of your resume in addition to professional dress. If you are unable to attend, please send resume to Justin Skibin, Michigan Works Business Services Professional, at jskibin@edsisolutions.com. Thank you! We hope to see you there. Our expanded gaming floor and hotel will be opening soon! Managers will be on site to interview on the spot. Please bring your: drivers license, Soc. Sec. card and resume’ Must be 18 years of age at time of hire. We will be hiring for gaming and non-gaming positions. Are you looking for a new challenge, advancement in your career, or just getting started in the workforce? This is the place to be! The Northern MI Career Fair, hosted by the Traverse City Record-Eagle. We invite any active or passive job seekers to see what positions employers are looking to fill across the Northern MI region. Attend to get some valuable face to face time with these employers, schedule interviews, and enter in hourly raffles to win Downtown Traverse City Gift Certificates! The Job Fair is open to Local Education Agencies (LEAs), Intermediate School Districts (ISDs), Public School Academies (PSAs) and educator staffing agencies seeking to hire for the 2019-20 school year, as well as all job-seeing candidates and, of course education-related commercial vendors. Hiring event for non medical homecare. If you would like your upcoming Michigan Job or Career Fair listed on this calendar, please submit your information to us for consideration. 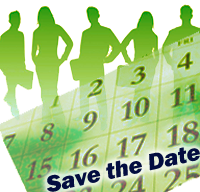 Career fairs agencies within the State of Michigan plan to attend. Think you know everything about skilled trades? Think again. Going PRO with Skilled Trades are careers that often require less schooling. These jobs are in demand for fields like healthcare, information technology, advanced manufacturing, construction and automotive.